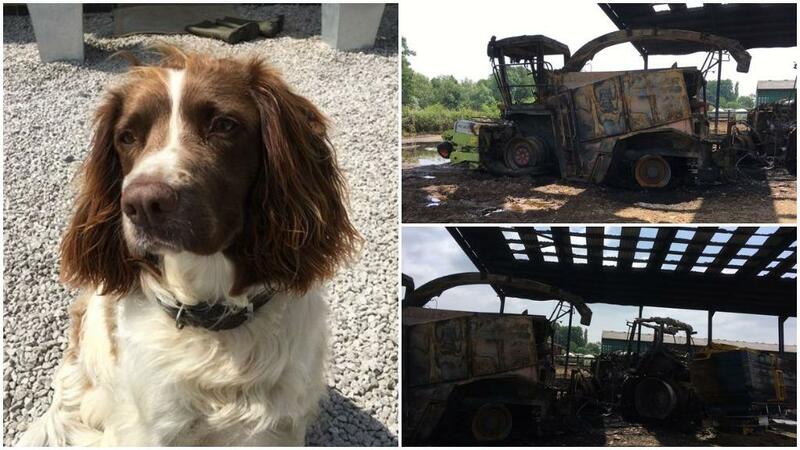 Farm dog Ted is being hailed a hero after raising the alarm when a huge early morning fire broke out at a farm. 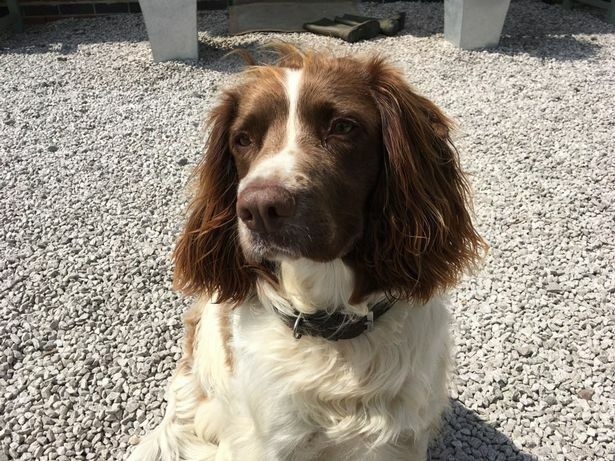 Animals, including a pregnant cow and calves, were saved after brown and white springer spaniel Ted woke people at the farm by barking as flames destroyed a barn and machinery. Three vital pieces of farm machinery were wrecked on Saturday morning (May 26) at Challans Partners’ Longcroft Farm. It is believed to have been caused after an electrical fault in one of the machines. 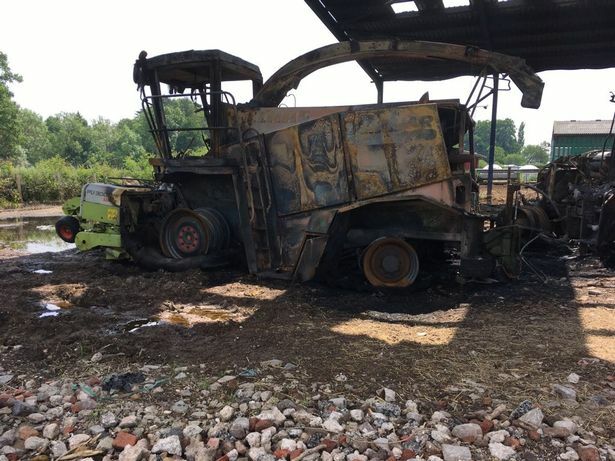 Farm staff have also praised Staffordshire fire crews for the quick arrival and actions in keeping the animals safe from harm. The loss of the machinery is at one of the busiest times of the year for the farm though. Ken Colwell, the farm secretary who is brother-in-law to partner John Challans, told Derbyshire Live Ted first alerted them to the fire by barking at around 1am. His wife Ruth looked out of the window, spotted the flames and dialed 999. Mr Colwell said: "The firefighters were extremely professional in not only how they dealt with the fire but also the questions they asked as there was information they needed from us about the site. They were absolutely first class. "There are two barns with livestock nearby and they were at real risk of going up. "We had to monitor the situation with a view to evacuate the livestock which luckily we did not need to do due to the professionalism and speed of the fire service. We cannot thank them enough. "I would also like to praise some of our neighbours who were actively on site offering assistance and support. We cannot thank them enough for the support. "The rural community has also been very supportive with offering loans of machines and so on, while we are going through the process of insurance claims as we are in the middle of one of the busiest periods for getting in the grass silage. A big thank you for all of their help and thoughts." The fire saw a Claas tractor catch light, then a forage harvester and a Claas Scorpion. Mr Colwell said: "We are now running as best we can with three machines down. The NFU Uttoxeter branch has been very supportive and have put processes in place through them with regards to the insurance." He told how the fire was so intense that the flames were the full length of the barn. The wind was driving the fire in the direction of the barn containing the young livestock. The machinery was being used to collect in the sweet grass for the cows to eat next winter. He said: "It is a huge task and we are two machines down. I would also like to thank B&B Tractors, in Fauld, and Alkmonton Tractors by Sudbury. They have been great in their support and offering us help. "John and his wife Fiona, as well as Ruth, were mainly concerned about the animals and being able to get that out. That is a huge testament to the good heart they have got and that is not to be underrated."